Museum collections are dominated by vast collections of natural history specimens—pinned insects in glass-topped drawers, shells, plants pressed on herbarium sheets, and so on. Most of these collections were never intended for display, but did work in terms of understanding the variety and distribution of nature. They were also the product of the personal passions, obsessions of enormous numbers of people. Who they were and the means by which they built their collections are often lost in the mists of time, leaving the specimens rather adrift. Natural history blossomed as a pastime in the nineteenth century, notably in Britain, Europe and North America, and as people travelled farther afield as part of the machinery of empire and the colonialist impulse. It was a respectable pastime enjoyed by many classes; this was especially important for the middle and upper classes as they had large amounts of time to occupy, but Victorian principles of self-help meant that enjoyment for enjoyment’s sake was not enough: even leisure activities should be morally uplifting. Social aspects of natural history meant that some pursuits were suitable for some social groups but not others: shell-collecting and flower-collecting/botany were popular with both men and women. Bird collecting (ornithology) was popular with young men, and was encouraged, as it got them outdoors into the fresh air. Bird collecting held some particular challenges, beyond the difficulty of shooting specimens, in that birds were relatively difficult to preserve. 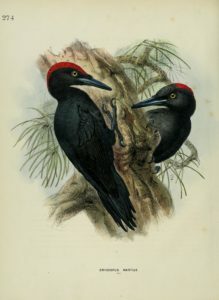 A reliable preservative, consisting of arsenic mixed with camphor bound in a bar of soap, was discovered in the late 18th century and popularised in the 1820s; bird collecting (in terms of collecting preserved specimens) increased greatly in popularity, although the detailed instructions contained in collecting manuals may have been just as important as the discovery of a preservative. Mounted specimens with glass eyes could be attractive (although they often weren’t), but they took up a lot of space and were difficult to transport. Most collectors collected ‘study skins’—simply prepared specimens that resembled a bird lying on its back, filled with cotton wool or other similar soft material. Study skins represented a standardised format that could be purchased or exchanged and amassed into collections of similar specimens. Labels containing information on where, when and by whom specimens had been collected were attached to the legs of specimens. Ornithology was a specimen-based discipline, and the subject was dominated by the quest for reliable empirical information that sought to address two particular questions: what species are there, and where are they found? In the days before the camera and indeed binoculars, specimens were the most reliable evidence of the occurrence of particular birds at particular places, and the maxim ‘what’s hit is history and what is missed is mystery’ was popular among naturalists. The search for globalised, encyclopaedic information involved great numbers of devotees, who were instructed in what to observe and where through a variety of collecting manuals. The standardised methods of natural history meant that anyone could potentially contribute to the great collective endeavour of outlining the distribution of the birds of the world. Bird skins and eggs were in great demand among collectors, so new markets were created. This resulted in a great machine-like undertaking, involving scientists and naturalists, but also explorers, private travellers, geographers, businessmen, employees, speculators, trappers, missionaries, and untold thousands of farmers, lighthouse keepers, sailors, poorer people and servants who did the bulk of the dirty work of specimen collecting and preparation. Operating at a time before organised and institutionalised museums, professions and conservation movements, self-motivated individuals came together to participate, debate, and carve out territory for themselves within ‘ornithology’. Seemingly mutually exclusive activities—collecting, conserving, protecting, hunting—were entangled in ways not found today. The rather anonymous specimens in museums are the products of a tremendous variety of relationships, but their fuller story can be pieced together through archives, letters and collections catalogues. 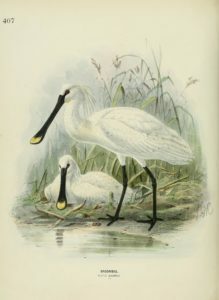 Henry Dresser (1838–1915) was one of the leading ornithologists of the mid–late 19th and early 20th centuries, yet his name is hardly known today. 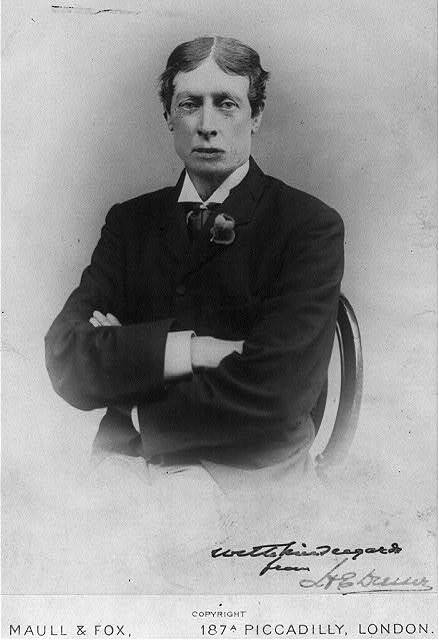 He produced A History of the Birds of Europe, begun with Richard Sharpe and issued between 1871–82. Dresser had an exciting life: his father was engaged in the Baltic and New Brunswick timber trade, working in London. Henry was sent to be schooled in Germany and Sweden, and he worked in the timber business in Finland and New Brunswick. Following on from this he spent 14 months in Mexico and Texas at the height of the American Civil War. He settled in the timber and iron trades in London, yet, in his ‘spare’ time, was one of the leading ornithologists in the world. Throughout his life, Dresser was a most ambitious natural history collector and ornithologist. 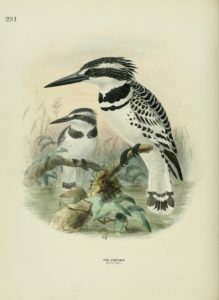 He played a leading role in scientific societies, at a time when these were being established, as the world’s birds were being discovered and described, and as the bird conservation movement developed. Dresser made extensive collections that formed the basis of over 100 publications, including great illustrated books that combined masterpieces of bird illustration with cutting edge scientific information. An exploration of his life reveals much about the transformations in 19th and early 20th century ornithology, and the role that private gentlemen naturalists played in a time without institutions or professionals. 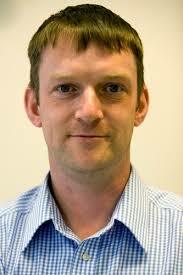 Henry A. McGhie is Head of Collections and Curator of Zoology at Manchester Museum, the University of Manchester. 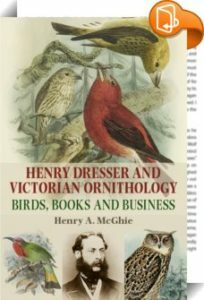 His new book, Henry Dresser and Victorian ornithology will be published later this month. Discover some of the truly magnificent images from inside the book by clicking on the book cover. Category: Blog, Natural history	0 Comments.